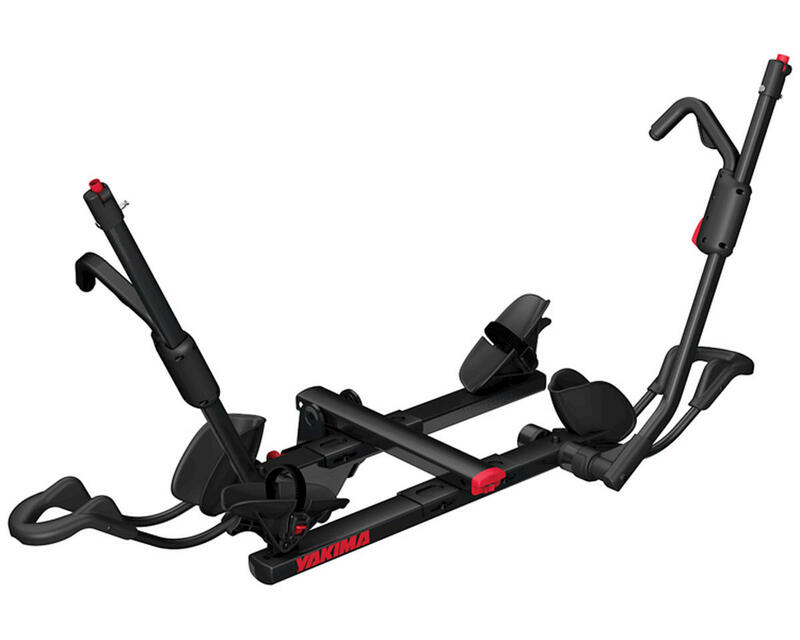 This is the Yakima HoldUp 1.25" Receiver Hitch 2-Bike Rack. The HoldUp is Yakima’s fastest, easiest way to load bikes. Its beefed-up arm pivot makes it stronger than ever and the side-to-side adjustability reduces the chance for bike-to-bike interference. It’s a road trip companion for life. Overall I am pretty happy with the Yakima Holdup bike rack. Loading bikes for a ride has never been easier! I also like that it folds up and out of the way. As a bonus, I can still open the hatch of my Prius with the rack up in the stowed position. :) It's a bit heavy, which you'll notice when you first install it, but I feel that my bikes are more secure compared to other racks. I also wanted to avoid the less expensive racks that suspend the bikes from their frames. The locking pin that secures the rack is attached by a plastic press-fit anchor. The plastic anchor is junk and easily falls out when the "ears" wear out. I secured the locking pin with a simple 15mm screw and locking nut. If you can swing the price you'll be happy you did with the Yakima Holdup.